I’ve really been into decor and organization lately, and I love touching up my room and switching things around a little. Something I always like to redo from time to time is my bedside table! I was cleaning my room the other day and decided to sit down and really work on my table, and I love how it looks now! I keep my most used books on the top shelf, and then my pens, little trays, and notebooks/other books on the bottom shelf. Today I’m sharing some of my favorite items on my bedside table, keep reading for more details! Hello everyone! I’m so sorry about the lack of posts recently, I’ve been at camp and out of town for the past two weeks! 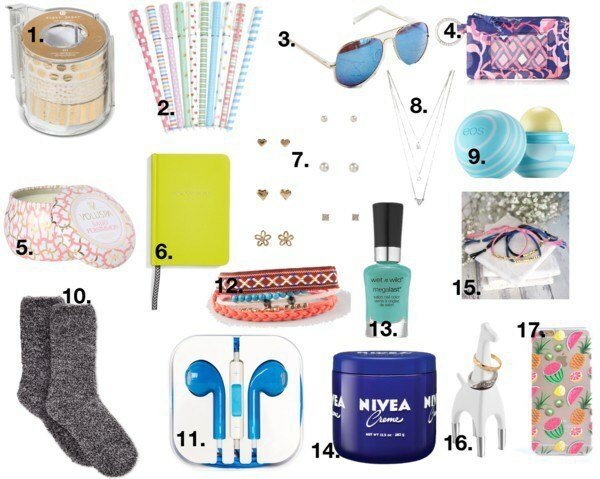 But today’s post is a roundup of my favorite items from the Nordstrom Anniversary Sale! I’m sure many of you have probably heard of the sale before, but basically every year Nordstrom has a huge sale and all of the new fall clothing can be bought at really low prices! Everything shown in this post is all under fifty dollars, and there are some really great deals! Read on for more of my picks! Hello everyone! Today’s post is a home tour on one of the prettiest homes I’ve ever seen! I love all of the colors and patterns used in the home. Gray Malin is a photographer and interior designer who has his home tour up on his website. I recently discovered his site and all of his features and designs are so pretty! I love looking at all of the home tours on his site, whether it’s his home or the homes of other bloggers and designers. They are all so pretty and bright and can give great inspiration! There seems to be a common theme in these types of bright, colorful houses. Usually the walls and furniture is a neutral or laid back color, like white or gray. But then all of the decor and accessories are what give the pops of color! Adding pink pillows or blue cabinets or red chairs add charm and whimsy to the whole home. Read on to discover this beautiful home! Hello everyone! Today’s post is an outfit post! I hope to do these more often on here, just put together an outfit with a theme and then link all of the clothes so you can create the outfit yourself! The outfit I put together today is just a cozy, simple outfit. This could be for a lazy Saturday, or any day you don’t really want to dress in any too fancy or nice. The pullover in this outfit is super comfy and fuzzy, and the socks are sure to keep your toes super warm! Just click on the links to stop the outfit below! Would you wear this outfit? Which is your favorite piece? Let me know below! So for the first post in the interior category, I have the top ten of the home decor items. These are some must- haves for any home. Whether it’s colorful pillows, a white and gold color scheme, or furry ottomans, all of these things are so cute! If you have these, your home is sure to be the best on the block.